“Financial crisis? What financial crisis. We have everything we need here so life is good.” This state of the nation speech came from Andreas my taxi driver, clearly a budding Cretan politician who believes Crete is impervious to the chaos surrounding Greek finances. It is though without doubt, a beautiful place to visit. It has it all. Stunning mountain ranges, dramatic gorges, glorious sweeping beaches, some delightful resorts, world -class cuisine and simply the best olive oil in the world. Perhaps Andreas has got a point after all. 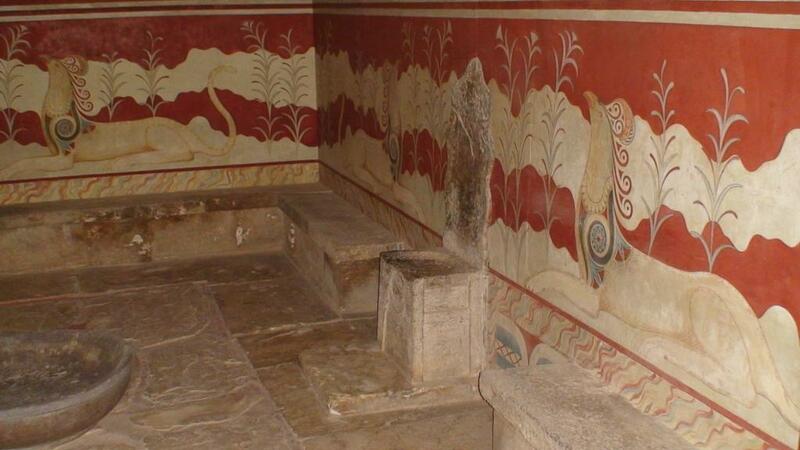 Crete has had a chequered history since its Minoan heyday. 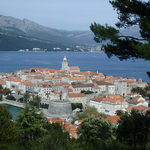 The Romans, The Venetians and The Ottomans have all had a go at ruling and the island still bears much of its former owners’ culture and traditions. The Venetian ports at Heraklion, Chania and in particular the lovely resort of Retrhymnon are perfect examples of Venetian influence. Retrhymnon’s old town is practically all Venetian architecture and it’s one of the best preserved old towns in Crete; its aristocratic charm still very evident with many of the buildings dating back to the 16th century. Tucked away in three Venetian houses in the heart of the old town, The Avli Apartments owned by the energetic.Katerina Xekalou is a unique luxury hotel, the beautiful all suites accommodation and the excellent Cretan restaurant have become legendary in Retrhymnon. 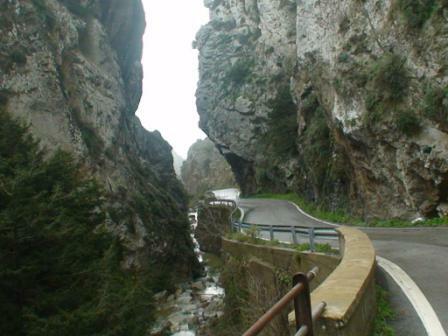 To the south west of Rethrymon, the Samaria Gorge national park beckons, one of the longest gorges in Europe. Here, a 16k walk though stunning fauna is well worth the 5 hours of effort from the start up at the Omalos plateau to the finish at the coastal village of Agia Roumeli. It’s only open between May and October though. Further east is where Crete’s micro climate comes into its own, producing the wonderful grapes that go into its excellent wines and the olives that make its oil so wonderful. These days wine producing has become something of a science, although there are still glimpses of traditional wine producing on the island. Just make your way south after Archanes and you’ll come to the now abandoned village of Vathypetro. Here you’ll find an almost perfect example of an ancient Minoan wine press. Talking of the Minoans, perhaps the most visited piece of historical significance on Crete is their famous stronghold at Knossos Palace. 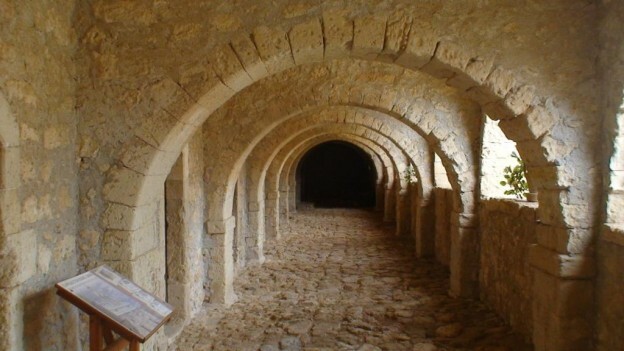 the mythological location of the story of King Midas, Thesseus and the Minotaur. It is an impressive archaeological site, although there is a lot from the imaginative mind of Sir Arthur Evans who produced some rather colourful reconstructions during his excavations rather than base anything on historical fact. What is more certain is this was the political and cultural centre of the Minoan civilization and a major find. Fortunately, Evans only tampered with some of the dig and there are many areas of original Minoan architecture to see. Crete, like much of mainland Greece and her islands, is literally littered with ancient remains seemingly wherever you look, but unlike many of the other islands, Crete is big enough to feel much less crowded during peak times. 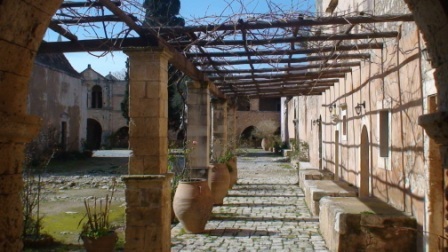 Archanes itself is a charming historic village that seems as though life has not changed in centuries. The central square is surrounded by excellent tavernas and bars and it’s a perfect place to base yourself to explore the eastern flank of Crete including the famous Mount Juchtas nearby, the last resting place of Zeus and home to over 4,000 different species of plants. It’s a good walk up for those of you fancying a bit of exercise, but the views all around are well worth the effort. 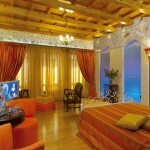 You can stay at the lovely Kalimera Village nestling at the end of its own private street close to the village square. It’s a collection of three luxury houses beautifully restored by owners Anna and Nico who provide a breakfast of home and local produce each morning in the main house. Further east is Agios Nikolaos with its charming seawater lake and lakeside tavernas and restaurants and then on round to the upmarket Elounda with its expensive viilas and luxury hotels. The little fishing harbour is still surprisingly quaint and it is here you will find the stepping off point to Spinalonga Island once a leper colony, now deserted but immortalised in Victoria Hislop’s book The Island. Along this gulf but further back before Agios Nikolaos lies the stunning resort of Daios Cove. 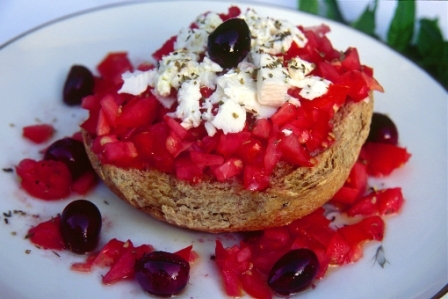 Cretan hospitality is legendary and with its healthy and world renowned cuisine it is hard to find fault with anything. Whilst the rest of Greece teeters on the financial precipice Crete keeps going on its merry way according to Andreas the taxi driver and I can’t argue with him.